This beautiful, hilltop Villa is located in Pila, a small town just outside of Perugia, one of Italy's oldest and most picturesque cities. The Villa is surrounded by lush vegetation, trees dating back hundreds of years, and panoramic views of Umbrian hillsides. The Villa sits on 5 hectares of land, predominantly comprised of fields used for cultivation of sunflowers and wheat. 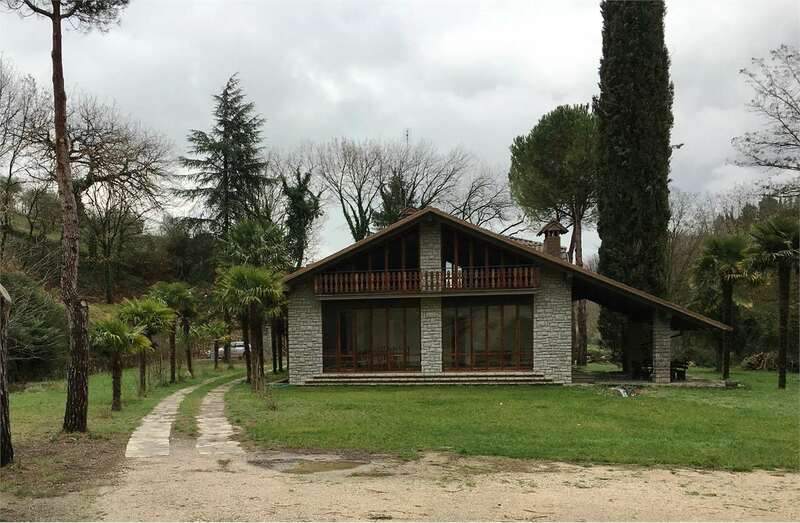 In addition to the main Villa, there is a small annex for agricultural storage, a detached, stone cottage for the groundskeeper, and the small church of Saint Ilario, dating back to the sixteenth century.